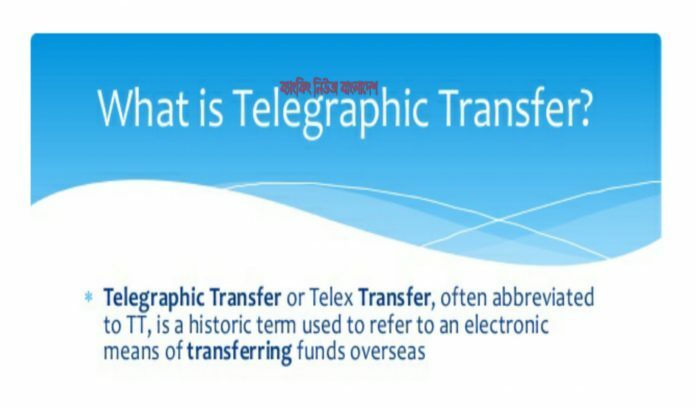 Telegraphic Transfer or telex transfer, often abbreviated to TT, is a term used to refer to an electronic means of transferring funds. A telegraphic transfer (TT) is an electronic method of transferring funds utilized primarily for overseas wire transactions. Telegraphic transfer is one of the modes of remitting money from one office of the bank to another by means of telegrams.